K2Q12A HP D6000 W/70 6TB 6G SAS 7.2K LFF3.5IN Dual Port Mdl Hdd 420 TB Bundle. New Bulk Pack. E7W31A HP D6000 W/70 4tb 6G SAS 7.2k LFF Dual Port Mdl Hdd 280 TB Bundle. New Bulk Pack. QQ700A HP Disk Enclosure D6000 Storage Enclosure 70 BAY 70 X 3 TB Installed 210 TB Installed 5U Rack Mountable. New Bulk Pack. K2Q15A HP D6000 W 35 6TB 6G SAS 7.2K LFF 3.5IN Dual Port Mdl Hdd 210 TB Bundle. New Bulk Pack. 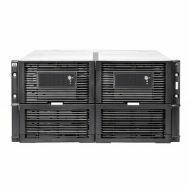 QQ698A HP Disk Enclosure D6000 Storage Enclosure 70 BAY 70 X 2 TB. New Bulk Pack. E7W30A HP D6000 DAS Array 35 X HDD Installed 140 TB Installed Hdd Capacity. New Bulk Pack. QQ699A HP Disk Enclosure D6000 Storage Enclosure 70 BAY 35 X 3 TB. New Bulk Pack. 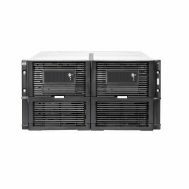 M0S89A HP D3700 W/25 2TB 12G SAS 10K Sff 2.5IN Enterprise Smart Carrier HDD 50TB Bundle. New Bulk Pack. QQ697A HP D6000 DAS Array 35 X Hdd Installed 70 TB Installed Hdd Capacity. New Bulk Pack. M0S87A HP D3700 W/25 1.8TB 12G SAS 10K SFF 2.5IN Enterprise Smart Carrier Hdd 45TB Bundle. New Retail Factory Sealed With Full Manufacturer Warranty. M0T02A HP Msa 2040 Energy STAR SAS Dual Controller With 24 900GB 12G SAS 10K Sff Hdd 21.6TB Bundle. New Bulk Pack. 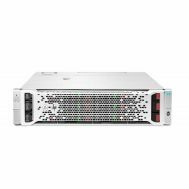 M0S86A HP D3700 W/25 1.2TB 12G SAS 10K SFF 2.5IN Enterprise Smart Carrier HDD 30TB Bundle. New Bulk Pack. 714683-S21 HP Blc7000 Enclosure Rack Mountable Power Supply Hot Plug 2400 Watt. Refurbished. M0S99A HP Msa 2040 Energy STAR SAN Dual Controller With 24 900GB 12G SAS 10K Sff Hdd 21.6TB Bundle. New Retail Factory Sealed With Full Manufacturer Warranty. M0T60A Hp Modular Smart Array 2040 SAN DUAL Controller Sff Bundle Performance Tier Hard Drive Array. New Bulk Pack. B7E23A HP StoreVirtual 4530 SAN Array 12 x HDD Installed - 24 TB Installed HDD Capacity. New Retail Factory Sealed With Full Manufacturer Warranty. M0T61A HP Modular Smart Array 2040 SAS Dual Controller SFF Bundle Performance Tier Hard Drive Array. New Bulk Pack. M0S82A HP D3600 W/12 8 TB 12G SAS 7.2K LFF 3.5IN Midline Smart Carrier Hdd 96 TB Bundle. New Bulk Pack. M0T36SB HP E Modular Smart Array 2040 SAN Dual Controller Sff Bundle Hard Drive Array 24 BAY 4 X 400 GB 8 X 900 GB. New Bulk Pack. BV903A HP Storageworks P2000 G3 Fc Msa Dc W 24 600gb Sas 10k Sff Hard Drive Array. Refurbished. M0T00A HP MSA 2040 Energy STAR SAN Dual Controller With 24 1.2TB 12G SAS 10K SFF Hdd 28.8TB Bundle. New Bulk Pack. M0S99A HP Msa 2040 Energy STAR SAN Dual Controller With 24 900GB 12G SAS 10K Sff Hdd 21.6TB Bundle. New Bulk Pack. QK771A HP CTO D2700 W/25 900GB 6G SAS 10k SFF Dual Port HDD 22.5TB Bundle. New Retail Factory Sealed With Full Manufacturer Warranty. C8S56A HP Modular Smart Array 2040 Sas Dual Controller SFF Bundle Hard Drive Array 24-Bay 24 X 1.2 Tb. New Retail Factory Sealed With Full Manufacturer Warranty. M0T01A HP MSA 2040 Energy Star SAS Dual Controller With 24 1.2TB 12G SAS 10K SFF Hdd 28.8TB Bundle. New Retail Factory Sealed With Full Manufacturer Warranty. C8R16A HP Modular Smart Array 2040 San Dual Controller SFF Bundle Hard Drive Array 24 BAY 24 X 1.2 TB. New Retail Factory Sealed With Full Manufacturer Warranty. 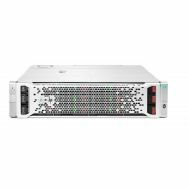 M0S88A HP D3700 W/25 1TB 12G SAS 10K SFF 2.5 IN Enterprise Smart Carrier Hdd 25TB Bundle. New Bulk Pack. M0T34SB HP Modular Smart Array 2040 Hard Drive Array 24 BAY 8 X 900 GB 2 X 400 GB. New Bulk Pack. K2Q10A HP D3700 300 GB Sas 12G 15000 RPM Sc 7. 5tb Bundle. New Bulk Pack. M0S85A HP D3700 W/25 900GB 12G SAS 10K SFF 2.5IN Enterprise Smart Carrier Hdd 22.5TB Bundle. New Retail Factory Sealed With Full Manufacturer Warranty. 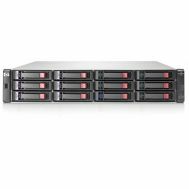 E7W87A HP StoreEasy 1840 13.2TB SAS Storage. New Bulk Pack. M0S81A HP D3600 W/12 6TB 12G SAS 7.2K Lff 3.5 IN Midline Sma Rt Carrier Hdd 72TB Bundle. New Retail Factory Sealed With Full Manufacturer Warranty. B7E28A HP StoreVirtual 4730 Hard drive array - 25-bay - 25 x 900 GB. New Retail Factory Sealed With Full Manufacturer Warranty. M0S81A HP D3600 W/12 6TB 12G SAS 7.2K Lff 3.5 IN Midline Sma Rt Carrier Hdd 72TB Bundle. New Bulk Pack. QR517B HP Storageworks P2000 G3 San Array 24 X Hdd Installed - 21.60 Tb Installed Hdd Capacity. Refurbished. K2Q11A HP D3700 600 GB 12G 15000 Rpm Sas Sc 15tb Bundle. New Bulk Pack. C8S57A HP Modular Smart Array 2040 SAS Dual Controller Sff Bundle Hard Drive Array 24 BAY 24 X 900 GB. New Bulk Pack. QW957A HP D2700 DAS Array 25 x HDD Installed 7.50 TB Installed HDD Capacity RAID Supported 25 Total Bays 6Gb/s SAS 2U Rack Mountable. New Retail Factory Sealed With Full Manufacturer Warranty. B7E25A HP StoreVirtual 4530 SAN Array 12 x HDD Installed 5.40 TB Installed HDD Capacity. New Retail Factory Sealed With Full Manufacturer Warranty. E7W86A HP StoreEasy 1840 NAS server - SATA 6Gb/s / SAS 6Gb/s. New Bulk Pack. 90645D3 Maxtor DiamondMax 6GB 5.4K RPM 256KB Buffer Form Factor 3.5Inches ATA-IDE Hard Drive. Refurbished.